Rat Patrol wrote: I'm having a hard time telling Gumby Williams apart from the handbag bots this morning. It's a co-ordinated effort—look, kids, this is what happens when you don't get an online diploma. I did it, you guys! I drove him away with a simple question! What do I win? JennyB wrote: I did it, you guys! I drove him away with a simple question! What do I win? We don't act like assholes for prizes, ma'am. It's about serving community. I do that in my job. I WANT PRIZES. Fine, we'll see about getting this guy to pitch to you. He'll make you feel like a slugger. I think he's the one with only one nut? Or was he the one that has the car wash in Simi Valley? Jesus. And he ends it all with a drunk post. Dr. Medulla wrote: We don't act like assholes for prizes, ma'am. It's about serving community. Williams, Kruk, Dykstra—god, I almost want to retroactively change my answer about who I was rooting for in the '93 WS to Toronto. Funny thing: I retroactively love the white trash Phillies. 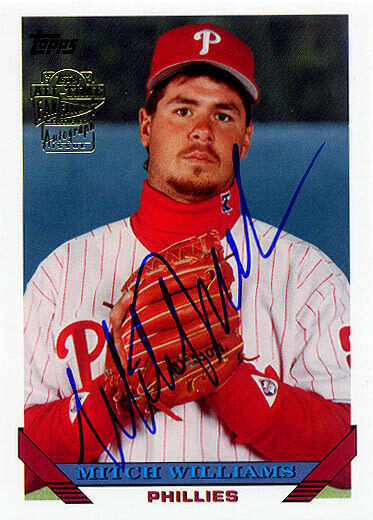 Wolter wrote: Funny thing: I retroactively love the white trash Phillies. Plus you just can't hate Jim "Tourettes" Eisenreich. Your embrace of mullet metal made that an inevitability.